Whoopi Goldberg, physician and renowned researcher Dr. Michael Lockshin, and humanitarians Judith and Wayne Barlin were honored for their work to improve the lives of people with lupus, at the Lupus Foundation of America's annual Butterfly Gala in New York City on October 18. 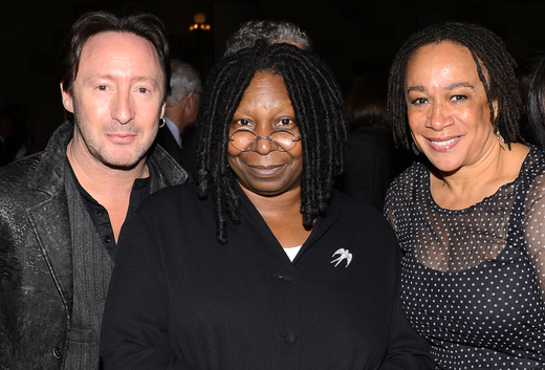 Other special guests at the Gala included multi-talented musician, philanthropist and photographer Julian Lennon, actor S. Epatha Merkerson, music producer Phil Ramone, and Chairman and Chief Executive Officer, Saks Fifth Avenue, Stephen I. Sadove. Actor Phylicia Rashad served as the Master of Ceremonies. 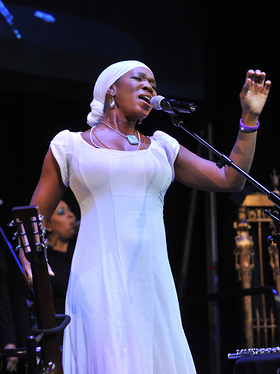 Four-time Grammy award winner India.Arie inspired and moved the crowd with a performance of her song There’s Hope: a salute to the honorees and the hope they bring to people with lupus. 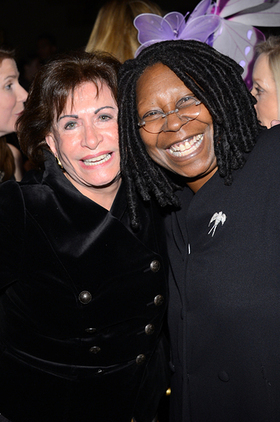 Lennon and Merkerson presented Goldberg with the 2012 National Public Awareness Award for her work to increase public awareness of issues touching the lives of women and children, including lupus. Dr. Michael Lockshin, one of America’s most preeminent doctors and lupus researchers, received the National Leadership Award for Lupus Medical Advancement. Dr. Lockshin is Director of the Barbara Volcker Center for Women and Rheumatic Disease and Professor of Medicine and Obstetrics-Gynecology at the Hospital for Special Surgery in New York. Judith and Wayne Barlin received the Lupus Foundation of America Family of the Year Award for making possible more than $1.5 million in support for pediatric lupus research and for establishing the Michael Jon Barlin Pediatric Research Fund. The Barlins also developed a college scholarship program for young people with lupus. The Barlins’ son, Michael Jon, passed away from lupus in his early 20s. The Gala seeks to focus attention on lupus, an autoimmune disease that affects 1.5 million Americans, mostly women of childbearing age. Although lupus can be fatal and can rob a person of their most productive years, it does not share the high profile of other diseases. The Lupus Foundation of America’s New York City Butterfly Gala is the companion event to the Foundation’s National Butterfly Gala held each year in Washington, DC. The Butterfly Galas raise awareness about lupus and generate critical funding for research, education, and advocacy for people with lupus.